Straddling a Hot Rod (Harley Davidson), this Australian lass is holding a Chiko Roll in her hand, a tad, suggestively, in the Chiko Roll ad in Australia. I understand they have now toned down their communication with a girl next door imagery. Chiko Roll started in the 50's is a great industry for the one hand, holding a beer and the other a chiko roll, in sports loving and watching Aussie land. So Whats your Roll story. Every Nation and community has a Roll, as convenience food from the Sattu parat ha rolled up in your hand to exotic gourmet roll in the tony Oxford Street sidewalk cafe in London. I wish I could be the official chronicler of the humble roll the food of the masses. To charter the anthology and the taxonomy of the Roll in different cultures and parts of the world. Theres is a Roll or something akin in every part of the world. Called by different names Tunbrundsrulle in Sweden, Kathi Kabab/ Kokatta Rolls/Roomali Roti Rolls in India (not counting the rolled dosas, parathas and Chillas), Tortillas in Mexico, Souvlaki and Gyro in Greece and the neighbouring Mediteranean, Shawarma and Donner Arab countries in Lebanaon and the Levant world (of Syria, Jordan, Mediteranean nations east of Italy, includes Israel, and parts of Iraq etc), Panini in Italian, the formidable Hot Dog in the US of and Canada, Lumpia in Malaysia, Vietnamese paper rolls, Sushi Maki rolls in Japan, the Spring roll/ Egg Roll of China and the adjoining countries, Lavesh bread and Shashlik of Russia and the CIS countries, Bun Kabab of Pakistan and neighbours, Mutton Roll in SriLanka, The bakery rolls of the the Western world and adapted by the Commonwealth world. We have not even started talking about the subcultures and missed two or three continents South America, Africa and Antartica. A single person"s meal (or one between meals). how many times have we wondered what to eat when we are alone, filling, cheap, tasty and quick.The answer usually is a Roll. The sports watching onsite and offsite culture: quite similar to sandwiches and burgers.The Chiko roll company is large corporation in Australia. A nation of sports watchers. Food on the Go: Don't have to stop eat, on the move. We see it every where when we travel where there is no place and time fora sitdown meal. The youth culture: Young people trying it and sticking on for later. Who can forget the Frankies in Bombay in the early 80s and how the became a range. Nutritional angle (and I know I am on thin ice on this one). It usually has carbs (the outer wrap), proteins (meat), vegetables in some, as salad and lot of flavouring, pickles, chutney, mashed potato, relish, radish, mayo, tzatziki etc depending on where in the world you are eating it. Is it nutrition or just calories or just a filler. Gourmet food: its lot more gourmet than ordering a sandwich, besides the sushi rolls and vietnamese rice paper rolls add to the glamour, ask vir Snghvi and he will perhaps tell you a place which makes one with Truffles and Wagyu beef (his two favorite gourmet food and perhaps reportoire). Working lunch: Often we order Kathi kabab, from Nizams, Candies, Karims or Shawarma from Al Bake or something similar. I associate certain foods for business reviews. For e.g Subway, I never eat one outside a review, as it reminds me of the tough and uncomfortable questions. Not Dirtying your hands: For intance Nizams's in Kolkatta was set up in 19oo by an immigrant and fuelled in the 30's with gora sahibs stopping by after the theatre for a roll wrapped in grey paper to avoid dirtying their hands. Late night pubbing and clubbing culture: Across the world , had a lot to drink, had some short bites, need a filler, meat yes, spice yes, quick yes, cheap yes. 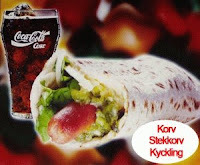 Everywhere in Sweden, Hongk ong, Berlin, Bangkok, Mumbai, Milan , you find a Kabab roll joint or a variant of the roll. To the extent the mayor of Milan has banned all non Italian food and stalls. The new talibanisation of ethnic foods (I wanted to write about it but Big brother Vir Sanghvi beat me to the draw on that one.The logic, immigrants work harder, their foods(largely kebabs) are tastier and much cheaper As a protection to the lazier laid back Italians, the non Italians are prohibited from doing business. Donner Kebab a Turkish roll is almost a German dish, and as popular as Bratwurst in many parts of Germany. Goes great with beer, and its probably a hit with soccer fans. Almost like hot dogs with a Baseball or American football game. 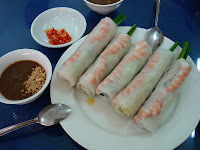 We have not talked much about the rolls and the art of making them in the Orient, though they do not entirely qualify to be called rolls in the clasical sense. They seem to fit in in the nomenclature and there is huge variety, albeit, the need some instruments to eat it with e.g the chopsticks the fork etc, besides they add to the gourmet quotient. To trace the historical significance, one can track it down with reference to 8th century BC (and we are talking about the common man's role here) in the Greek history as well as the Mesopotamian Civilization which is modern day Iraq.Discounting what the Chinese, did , because the Chinese did everything else first and I don't read chinese to derive authentic sources on this topic. My personal experiences begin at age 14. When I moved to Delhi and then committed a life time to r olls. First, with Kool Korner at the West corner Of M block Market in GK I (shut in early 90s). He Arora saab had the hottest kababs this side of the Indus River and three hottest daughters in nearly all of South Delhi ( dressed in shorts plump thighs and ample bosomed and in skimpy outfits fed on pork kababs in early 80s in GK 1). All in all the Kababs and the girls were quite a dish.The called themselves "The Pink ladies "in an orange Ambassador car. We were The Vulkans" in leather and motorcycles. Smoking lazily at Prince Pan corner while they looked back and teased us. Saleem's in Kailash colony, we were just about tasting monetary freedom and testing and tasting alcohol. They had a mutton tikka roll (with Roomali) and mutton seekh roll. 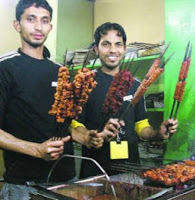 You could make that adouble of each that is two kababs and two roomalis into one often called an "Atom Bomb". Alas, as income grew the appetite reduced more or less proportionately. I now perhaps cannot handle the legendary " Atom Bomb"
Then of course, Kathi Rolls of Nizam not to forget the earliest Kathi Kabab shop on in Panchsheel Enclave called Ali's opened in 1979 was hep and upmarket , it was my Dad who reminded me the name (Iwas struggling with name). He's just turned 81 and he promptly gave the name on the phone as if he had been revising it often. The rolls on Park street in Kolkatta, the Frankie's that flew in or travelled in the Rajdhani express from Bombay, the vineagary taste of the meat was addictive in the early 80s. Al Kauser of Sadia Dehlvi and the clones thereafter including Aap ki Khatir, Khan Chacha and Saleem in Khan market.The Bihari kabab rolls in the outskirts of Dhaka.and my neighbourhood man Qureshi. All in all a great roll Journey. 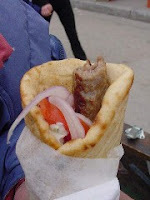 A special mention to the Souvlaki, Shawarma and others in our journeys to Greece, Dubai. 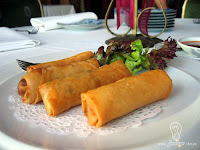 My Peking Duck takeaway in the mayfair suites in New York or was it the Tudor hotel. More Rolls in the streets of Yangon in Myanmar. Roti Canai in KL and Roti Paratha roll in Sigapore with Metre Chai. For some reason dear wife Praveen and little Ananya have not gotten to this eating pursuit. They are the sit down gourmet types. It continues to stay with me as habit of the past, whenever, I feel like having hungry food and smell my past. I get a roll......... Is it got anything with the Kool Korner girls Of B Block?? Whats your Roll story ? 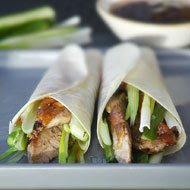 What all goes into a Roast Peking Duck roll? 1992. 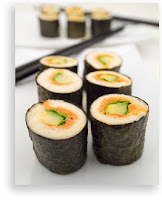 We have eaten most of the rolls mentioned in the blog eating out with you ..peking duck being your favourite gourmet one..sushi being ananya's . looking forward to the next piece while i hone my skills on the roll cuisine and leave konkani food aside for a bit. i have been avoiding eating at Bade Miya for a long long time but last night i was passing by and dug in.